Last week I started my predictions for this year’s Emmy Award nominations with my guesses for who the Television Academy will select for Best Actress in a Drama Series. Over the next several weeks leading up to the announcement of the nominations on July 18, I will continue posting my thoughts on who will make the cut in all of the major categories. Next up…Best Supporting Actor in a Comedy Series! 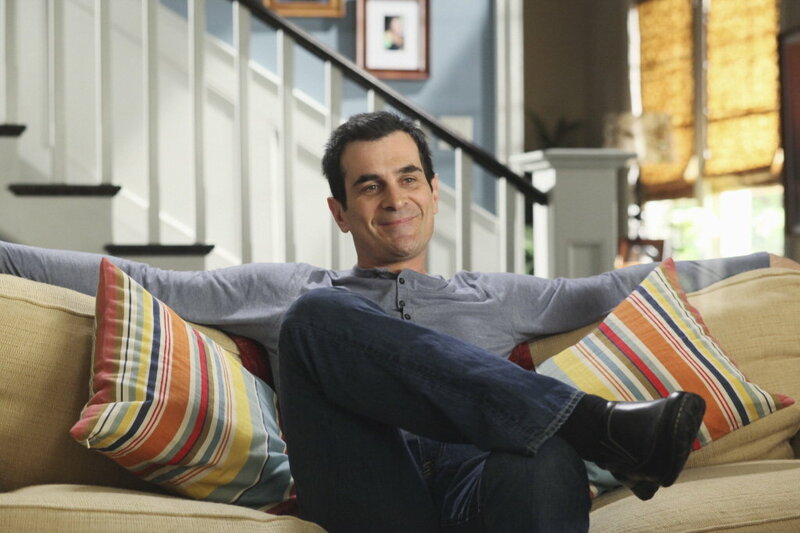 This category has been dominated by the men of Modern Family since the show’s debut in 2009 — the last three winners have all come from that cast (two wins for Eric Stonestreet and one for Ty Burrell), and for the past two years the Modern Family guys have claimed four out of the six nomination slots. With an overabundance of talented men to consider for this category, I think the Academy may be ready to spread the wealth and won’t nominate all four men again. Stonestreet and Burrell continue to have the showier roles, so the most vulnerable would seem to be Jesse Tyler Ferguson and Ed O’Neill, neither of whom has previously won the award. Will one or both be left out this year? New Girl‘s hysterical Schmidt, Max Greenfield, and Saturday Night Live‘s Stefon, Bill Hader, were the two non-Modern Family nominees last year, and I’d be surprised if both didn’t make the cut again. Greenfield continues to do stellar work on the Fox comedy, and with Hader leaving Saturday Night Live, this is a chance for the Emmys to recognize his body of work over the past eight years on the late night institution. Don’t count out Neil Patrick Harris, who despite being shut out the last two years was nominated four years in a row for playing womanizer Barney on How I Met Your Mother. There’s also Parks and Recreation‘s Chris Pratt and Community‘s Danny Pudi, from NBC’s lone surviving comedies, both of whom have never been nominated. The Mindy Project‘s Chris Messina is also a possibility. I think the new blood to this category, though, will likely come from two sources — The Big Bang Theory and Girls. Though I don’t watch The Big Bang Theory, it is indisputably bigger than ever, and with Jim Parsons’ stranglehold on the Best Actor trophy and previous nominations for Johnny Galecki and Mayim Bialik, the Emmys clearly enjoy honoring the show. Will Simon Helberg, who apparently had a great season as Howard, find his name called on July 18? As for Girls, I think Adam Driver is doing some of the best work on television in either comedy or drama as Hannah’s on-again/off-again boyfriend Adam, and would love to see him get recognized. But he may have to compete against the also excellent Alex Karpovsky, who received a Critic’s Choice Award nomination for his performance as Ray.